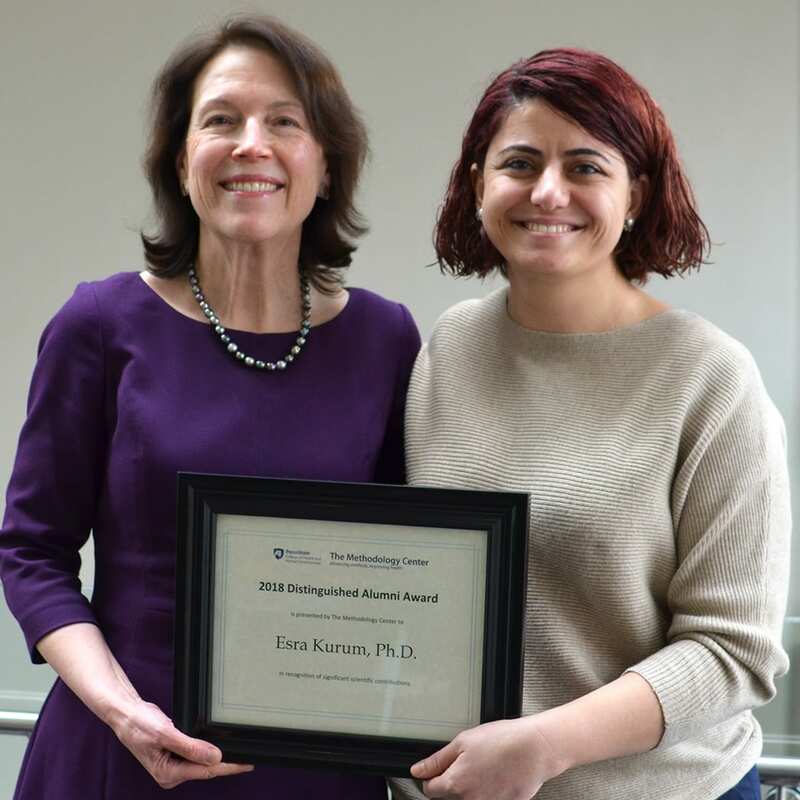 Congratulations to Esra Kurum, assistant professor of statistics at University of California Riverside, recipient of The Methodology Center 2018 Distinguished Alumni Award. Esra develops models for time series and repeated measures longitudinal data. More specifically, she models time-varying trends in data and explores relationships between variables that change over time. Esra’s research has been applied across a broad array of disciplines. Dating back to her time at The Methodology Center, she has developed models for infectious diseases and studying vaccine impacts. She has also modeled the time-varying relationships in smoking cessation studies, the association between HIV progression and smoking status, and the effects of the pneumococcal vaccine in developing countries. Esra has published 26 peer-reviewed articles. She is the recipient of the Kenneth Rothman Epidemiology Prize in 2018 for developing novel statistical models to evaluate the impact of vaccines and other interventions related to public health.